The Eagles have responded to their earlier disappointing loss to Wales with a 47-0 thrashing of Kenya. 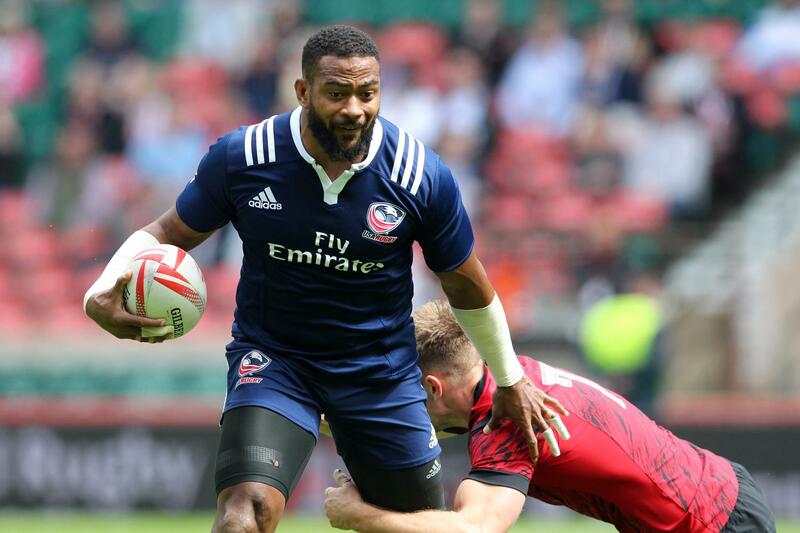 With point differential potentially being key to making it to the quarterfinals the Eagles put up their biggest ever point total against Kenya. It all surrounded the restart where the Eagles were extremely effective, especially early as they delivered a knock out blow before Kenya even touched the ball. Now the U.S. will take on South Africa at 12:32 p.m. et/9:32 a.m. pt. The first two tries for the Eagles were nearly identical and they were beautiful. Perfectly placed kicks from Folau Niua allowed Maka Unufe to perfectly time his jump and bat the ball back into the hands of his teammates. On the first try a quick tap on a Kenya penalty saw Niua slalom through for the try. On the second try the ball was batted straight back to Niua who scored easily. Just like that the Eagles were up 14-0. The third try was once again the result of the restart. This time the ball was batted back by Unufe again but had to go through two phases before Perry Baker had enough space on the outside for the try. The conversion missed but the Eagles were up 19-0 and Kenya hadn't even touched the ball. Kenya did have possession after the third try but they didn't get through many phases before they coughed up the ball. The Eagles showed great hands to try and get something going and just before the break had a try from Madison Hughes to make it 26-0 at the break. The first real spell of possession for Kenya came at the start of the second half as they spent well over a minute trying to probe the Eagles defense. Unfortunately for them the Eagles defense stayed firm and soon created a turnover. After that turnover Kenya completely fell apart with the Eagles putting in tries from Steve Tomasin, Ben Pinkelman, and Tomasin again. It's all to play for against South Africa. The U.S. will be in a must-win situation. If they beat South Africa (and SA beat Wales) then there would be three teams tied with two wins. It would come down to point differential at that point and the big win over Kenya should help.